Sound in space. Improbable laser guns. Questionable faster-than-light travel. While much of Star Wars doesn't hold up to scientific rigor, for the most part, it doesn't have to. Star Wars is science fantasy, and as long as a scientific faux pas doesn't detract from the work, it's acceptable. But sometimes, science mistakes do take away from the work, or otherwise prevent the work from being as good as it can be. Here are four science mistakes that Star Wars has made in the past that Episode VII can either address or avoid. If you were to base yourself on Star Wars movies - because why wouldn't you base your assumptions about astronomy on science fiction? - you'd think that every world in the universe has similar gravity. That cannot be further from the truth. In our Solar System alone, planets and moons have wildly differing gravities, from Mars' one-third of Earth's gravity to Ganymede's (the largest moon in the Solar System) one-sixth of Earth's gravity. Even Venus, called Earth's sister planet due to their similarities in size, gravity, and composition, has about 10 percent weaker gravity than the Earth. While that may not seem appreciable, remember that we're comparing sister planets, and that that change in gravity equates to about 10 to 20 pounds of weight difference for most people. But regardless of whether the Star Wars characters are on the planet Tatooine or the Forest Moon of Endor, they move as though there is no meaningful difference in gravity. This isn't impossible, strictly speaking. A world's gravity is determined by its size and density. Despite it being a smaller planet, Mercury's gravity is about equal to Mars' because it is denser. Still, while it isn't impossible that all the worlds we visit in Star Wars movies have similar gravity, it's both improbable and boring. 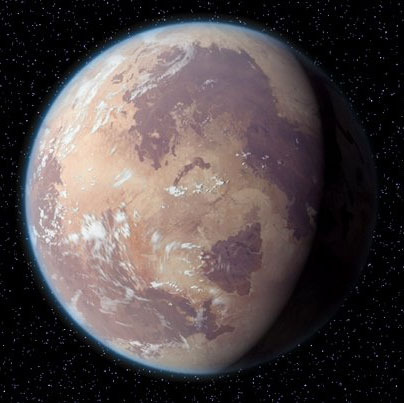 We've already discussed Star Wars' single-biome worlds at length, but the truth is that having worlds with multiple biomes would not improve the movies in any way. However, one thing that could improve them is having worlds with differing gravities. We can argue any number of sociopolitical, evolutionary, or practical reasons for why the movies only depict worlds with similar gravities. But why? Given budget hasn't been a concern for Star Wars since the original trilogy, why not put in the effort to make a scene or two take place on a world with different gravity? Sure, we can argue that Star Wars humans only colonized worlds with similar gravities. Our bodies evolved to be adjusted to the gravity of our homeworld - astronauts who return from an extended sojourn in the International Space Station experience adverse physiological effects, including loss of bone density. But the rate of bone loss is only about one percent per month - in zero gravity - so a quick visit to a low-gravity world should have no long-lasting adverse effects. The various alien races seen in the movies even suggest that some come from worlds with differing gravities. The tall, slender, and fragile-looking aliens seem to come from lower-gravity planets, and the squat, bulky aliens suggest a stronger gravity origin. 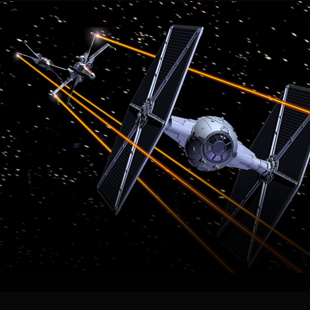 Star Wars is all about the fantasy of science fiction - wouldn't a low-gravity lightsaber duel be fantastical?